Shopping for friends or family? Here are two luxury wine gifts to make a very special Christmas and impress the wine enthusiasts in your life. Committed wine drinkers needs high-tech gadgets to match, so check out our handpicked unique gift ideas for wine lovers. 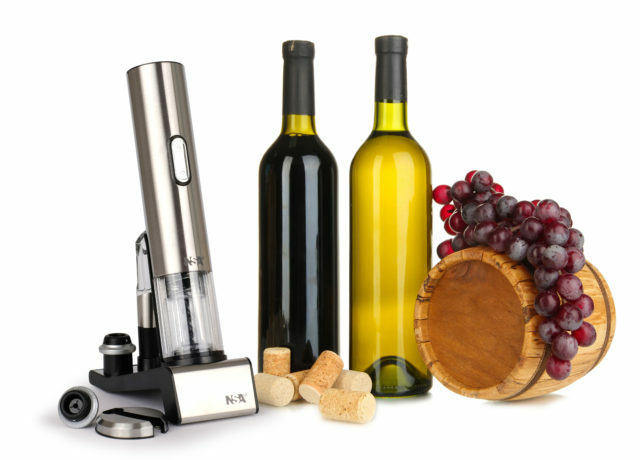 Opening and preserving wine has never been easier with the NSAuk Rechargeable Corkscrew & Preserver in One. This dual purpose 2-1 reversible unit is quick and easy to use. Opens bottles of wines and then preserves – all at the touch of a button! There’s nothing like a glass of wine after a long day, but getting into the bottle can be a hassle without a good wine opener or corkscrew. To get that cork out as easily as possible you need one of our Quick Charge Corkscrews. Guaranteed to liven up any Christmas Party!